The road to the Kentucky Oaks comes to an end for the 2-year-olds with the running of Saturday’s Grade 1, $300,000 Starlet Stakes at Los Alamitos. Carded as the seventh on a nine-race card that also includes the Grade 1 Los Alamitos Futurity, the Startlet has a local post time of 3:28 PM PT. 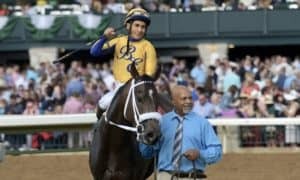 The event has drawn a small field of six contenders; however, it includes two entries from trainer Bob Baffert, as well as Breeders’ Cup Juvenile Fillies third-place finisher Vibrance. Vibrance is the event’s headliner after her solid showing at the Breeder’s Cup. The daughter of Violence has only one win on her resume; however, she has hit the board in a couple of major races, which has pushed her career earnings to $279,600. That easily makes her the classiest horse coming into this small field. 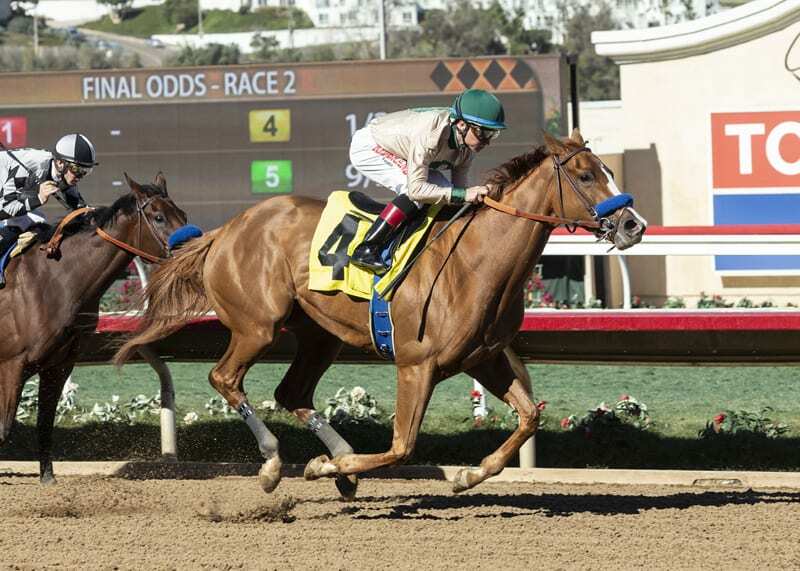 Baffert will be the main challenge to the established Vibrance, which comes as no surprise. Baffert won this race last year with Dream Tree while becoming the first trainer ever to win the Starlet and CashCall Futurity in the same year. This year, he brings in Chasing Yesterday, who is the half-sister to the 2015 Triple Crown winner American Pharoah. She comes into the race off of two straight victories, including the Desi Arnaz Stakes at Del Mar last time out. 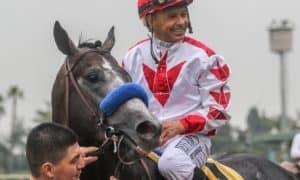 Mother Mother, another Baffert filly, enters this contest off of a victory in the Rags to Riches Stakes at Churchill Downs, where she prevailed gamely over a tough field. That win put her back on track after losing to Bellafina in a couple of tough races here in California. Baffert is loaded for both stakes on this card. The full field from the rail out includes Vibrance, Mother Mother, Sold It, Oxy Lady, Enaya Alrabb, and Chasing Yesterday. #2 Mother Mother – If not for an illness, this horse would have been in the Breeders’ Cup Juvenile Fillies Stakes. Instead, she missed some training, which made her miss the race completely. 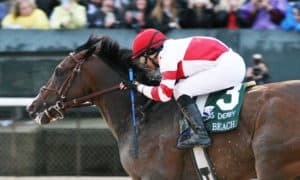 It could have been a blessing in disguise, though, as she opted for a much easier spot in the the $100,000 Rags to Riches Stakes at Churchill Downs. She won that race impressively, which should set her up for a top effort in this spot. Over the summer at Del Mar, she was one of the most impressive juvenile fillies of the meet. Here, she could be ready to fire her best race yet while becoming a Grade 1 winner. 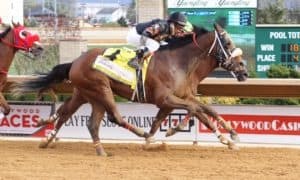 #1 Vibrance – She is the classiest horse in the race, while also having speed figures that are right on par with our top choice, if not a little better. So why is she not our pick to win? The “Baffert Factor” is probably the best answers. Vibrance and Mother Mother seem to be very similar, so the deciding factor was the trainer. Still, Vibrance is a filly that must be respected, after hitting the board in back to back Grade 1 events. She will likely be on or close to the lead throughout, while proving tough to pass for anyone that is coming late. 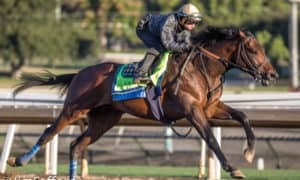 #6 Chasing Yesterday – Can the sister of American Pharoah become a Grade 1 winner? It’s definitely possible, with her coming into this race off of two straight victories. However, she was not tested in either of those events, having faced very small fields. 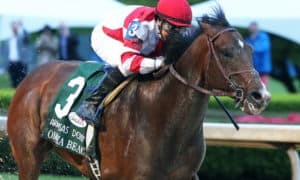 Her only start against graded stakes company was a total disaster when she finished off the board in the Grade 1 Spinaway Stakes at Saratoga. This will be her first race around two turns as well, which makes her a little shaky against this top-heavy field. #4 Oxy Lady – There is no question that her win last time out in the Grade 3 Tempted Stakes at Aqueduct will put her right in the mix with these horses if she can do it again. There is reason to be skeptical, though, because that was the best race of her career by a long ways compared to her other three starts. Also, it is a bad sign that the second-place finisher of that race came back to do nothing last weekend in the Grade 2 Demoiselle Stakes. This leads to a lot of question marks for her to answer, but she can pull the upset if she can repeat that Tempted Stakes performance again. 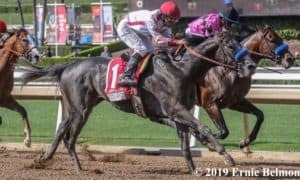 #5 Enaya Alrabb – After losing on debut at Del Mar, this filly rebounded with a nice maiden special weight win at Santa Anita in her next start. 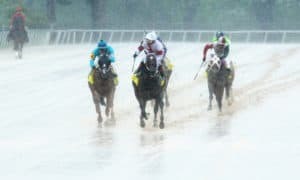 However, the speed figures for both of those races did not come back all that fast, which means that she must take a major step forward in order to compete in this race. 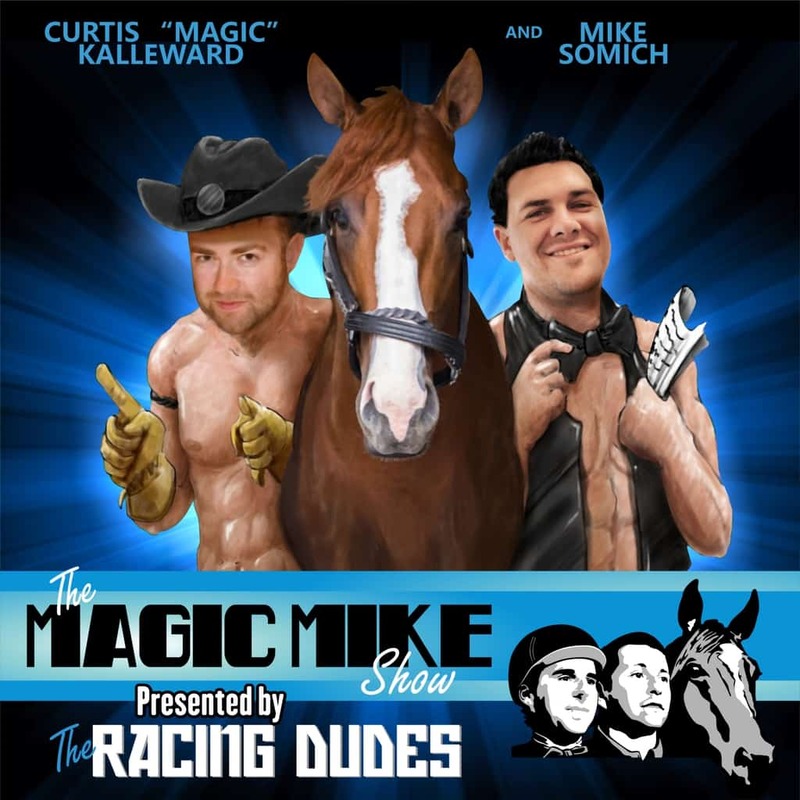 #3 Sold It – It is hard to get a read on this horse after just two races. She was well-beaten in her dirt debut, then broke her maiden on the turf at Del Mar. Now, she’s back to the dirt, which is a surprising move. She has a lot of proving to do in this spot. We like Mother Mother on top, but how are we playing the race? 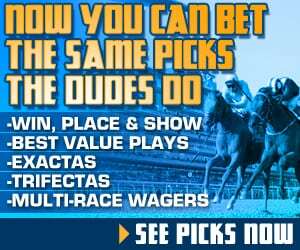 Try our PREMIUM PICKS that include exacta, trifecta, and multi-race wager suggestions along with our most likely winner and best value play from each day.